15/4 mm: 4 mm top layer at 11 mm waterproof plywood. 20/6 mm: 6 mmtop layer at 14 mm waterproof plywood. From our assortment, we also offer ready-to-use pattern tiles in various thicknesses. 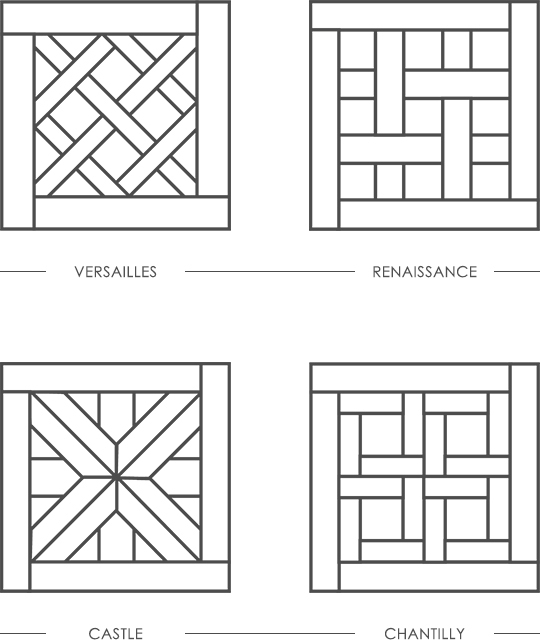 We have a Versailles, Renaissance, Castle and Chantilly pattern as standard in our assortment. We offer these tiles in thicknesses 15/4 mm, 20/6 mm and solid. Other patterns are available on request.